" I TAKE NO SIDES "
[S U B S C R I B E] . ............................. . I RECENTLY PURCHASED [JUST YESTERDAY, INFACT] THE ENTIRE ALEXANDER SERIES IN JAPANESE ON DVD [AND FOR ONLY $28CDN].. PETER CHUNG IS THE CHARACTER DESIGNER FOR THIS NEW SERIES WHICH HAS ONLY BEEN RELEASED IN JAPAN .. DON'T WORRY, IT'LL MAKE IT TO NORTH AMERICA EVENTUALLY .. BUT IF YOU HAVE ANY ANIME VIDEO STORES AROUND, YOU MIGHT WANT TO KEEP AN EYE OUT FOR ALEXANDER ..
. .. ................................................................................... .. .
. .. ........................................................................................................................................................................................ .. .
. . : d i s r e c o g n i z e d s p a c e : . . is a website dedicated to the animated series Aeon Flux. 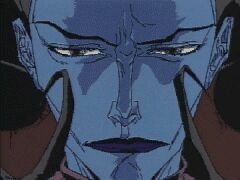 All images and artwork of Aeon Flux contained herein are © MTV Networks. All other images contained herein are © their respective copyright holders. This site is neither affiliated with or endorsed by MTV Networks in any way. This site MAY contain adult language and themes and is recommended for mature viewers. If any of the before mentioned might offend you then I suggest that you leave and have a nice day! Please send suggestions and comments to flvx.